Max is no stranger to Kosovo. In fact Max is no stranger to a lot of places – born in Russia, citizen of Holland, educated in the US and living in Bulgaria. 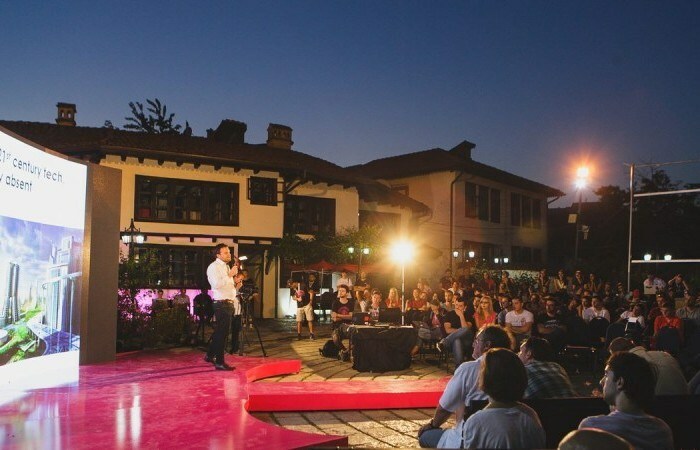 He brought Prishtina for the Win to Kosovo and his new CCC Ventures supports entrepreneurs and start ups around the world. What kind of mindset is necessary to try new things, identify problems, envision solutions? The first issue is to break out of the idea that there is no history of entrepreneurship in the region. Max shared examples from the past, recent history and present day. Electric cars in Croatia, Anti-rust paint in Albania. The second is to start to look around us – What are the problems, challenges, activities you see in your environment? Not making a cult about failure but instead learn to fail and learn from the failure.